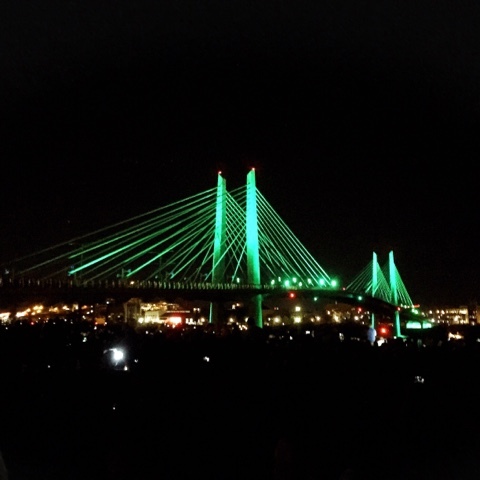 Right after my New York visit, I was off to Portland, Oregon. I actually lived there on and off for a total of four years and it's where I lived last before moving to Los Angeles. My first job out of college was in Portland and some of my best friends live there so when I fly out, it always feels like I'm going home. With all that said, I'm really excited to introduce my favorite spots in the beautiful, quirky but stunning city of roses. 1. Voodoo Doughnuts: Let's just get this out of the way, everyone. With their "good things come in pink boxes" slogan along with their strange donut names and creepy decorations, this place has blown up. Trust this former Oregonian for a second, though. The donuts are very much average. However, I do keep going back there because of the vibe and funny donuts. I mean, who doesn't like donuts, right? 2. 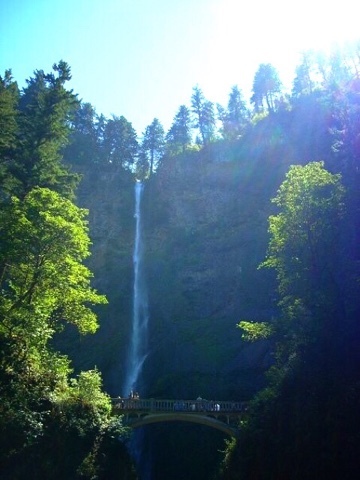 Multnomah Falls: What a pretty waterfall Multnomah is. It is the tallest waterfall in the state of Oregon and second tallest in the United States. It's a very healthy hike up to the top even though most people just oooh and aaahhh, take pictures at the bottom and leave. 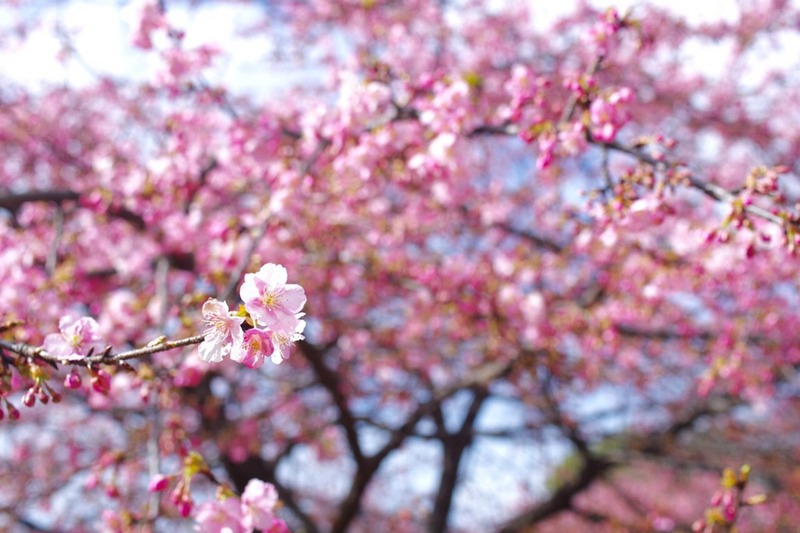 It's about a 45 minute drive from the central Portland area and in my opinion, only pretty during the Spring and Summer. 4. 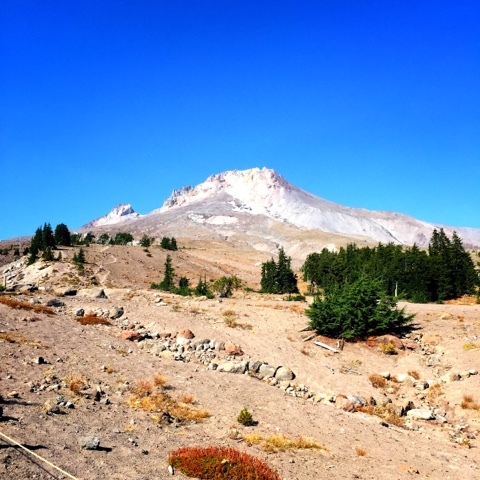 Timberline Lodge: I've been up to Timberline Lodge in Mt. Hood a few times during the winter to snowboard and ski but I had never visited during the summer. It was crazy to see the area with no snow but there were still plenty of things to do there and we had a blast. The Alpine Slide (0.5 mile slide down the mountain) was not my personal favorite since I'm such a chicken but if you're outdoorsy, it would probably be a fun experience for you. The Lodge itself is a great place to check out; it's like hanging out in a gigantic log cabin. 5. 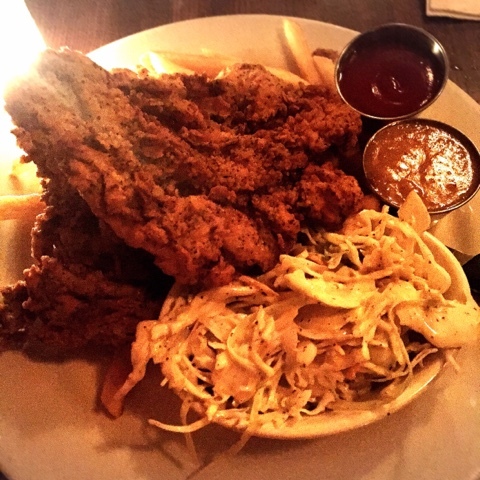 Screen Door: The most popular southern food spot I've ever been to in the west coast. I lived in the south for a little bit so obviously I'm picky about what everyone else thinks is 'southern' (I'm mildly joking). Any popular place has a wait and this one was about 30 minutes. Their friend chicken dish is their most popular but the winner in my eyes (and stomach) were the hush puppies - get them! Delicious! 6. Tax Free Shopping: Self-explanatory but it's a great reminder that Oregon is tax-free. If it's $19.99, it's $19.99 - how awesome is that? Shopping time! 7. Beaches - Portland International Airport: This is so random and my friends are probably laughing at me but I love Beaches so much! They have their original restaurants in Vancouver, Washington just across the river but a few years ago opened up shop within the Portland International Airport. Their happy hour is one of the best I've ever been to so if you're killing time before or after your flight, check them out. 8. 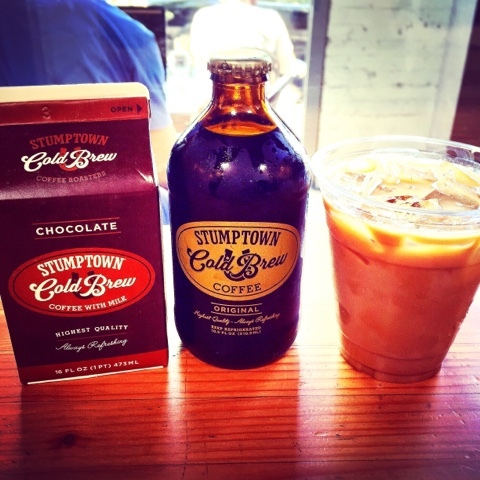 Stumptown Coffee Roasters: Oregon born and bred, this coffee shop is now in L.A, which of course brings me endless joy. Their coffee is delicious, especially their iced latte. 9. Mt. 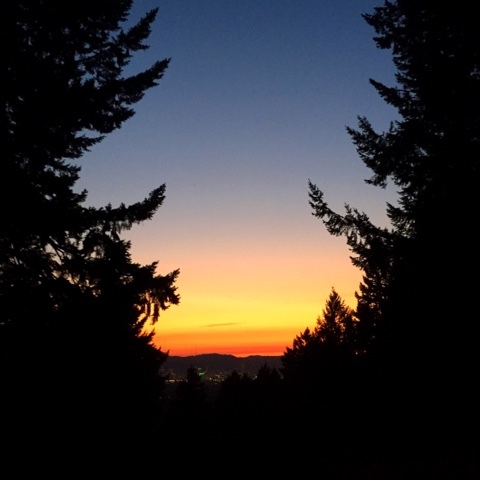 Tabor: If you're a sucker for sunsets like I am, Mt. Tabor is a great park for that. My besties and I probably ruined a few couples' romantic nights but oh well! Depending on where you park, it can be good exercise walking up to the park too. Just make sure you bring bug spray because just from the 20 or so minutes we were there, we got devoured by mosquitos. 10. Salt & Straw Ice Creamery: After hearing and seeing this everywhere, I finally convinced my friends to take me this last trip. They're known for their original flavors and farm-raised ingredients. I'm personally not picky when it comes to ice cream so I wasn't wow-ed but I did love their fun flavors - the Stumptown Coffee flavor was hands down my favorite. 11. MAX Line: As a Tokyo native, I appreciate a clean, well-run public transportation system and the MAX line is it. It's so convenient, cheap and reliable. If you're just visiting as a tourist and focusing on the downtown area, the MAX is free to ride through downtown Portland. 12. Saburo's Sushi: This is kind of a local love as I've never heard of any tourists eating here but if you love sushi, I highly recommend. It's a fairly small restaurant in the Sellwood area and I can guarantee that there will be a line. The wait can be anywhere from 20 minutes (if you're lucky) to an hour. 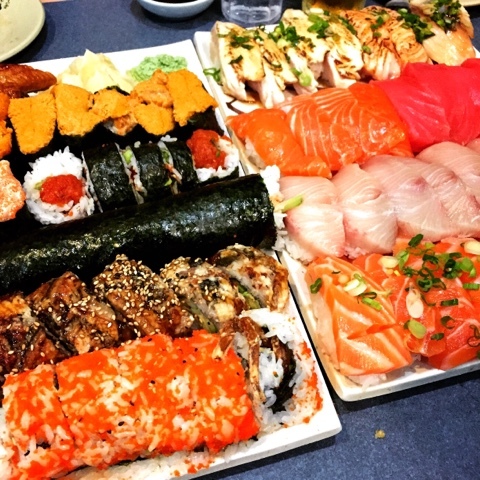 The sashimi quality is excellent but the portions are huge so beware...and enjoy! 13. Powell's Bookstore: Last but definitely not least, my favorite place in the world. Largest bookstore in the world, 1.6 acres of books. You can will get lost in there and you'll totally be ok with that. 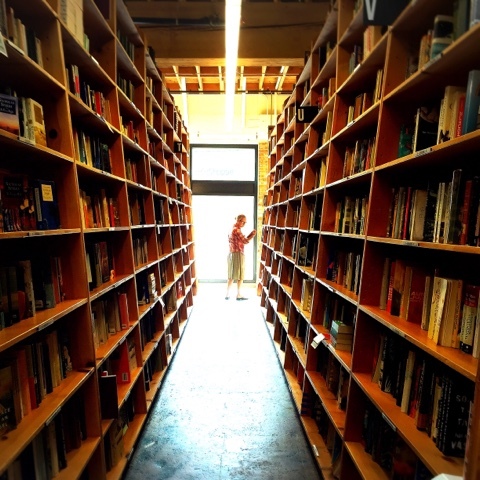 I'm personally not a huge fan of e-books; there's just something about having a real book in my hands, the smell, the physical turning of the pages - and so I feel like a kid in a candy store when I visit. They have new and used books, interesting gifts and really helpful employees. If you can only pick one place to visit in Portland, this is the place. 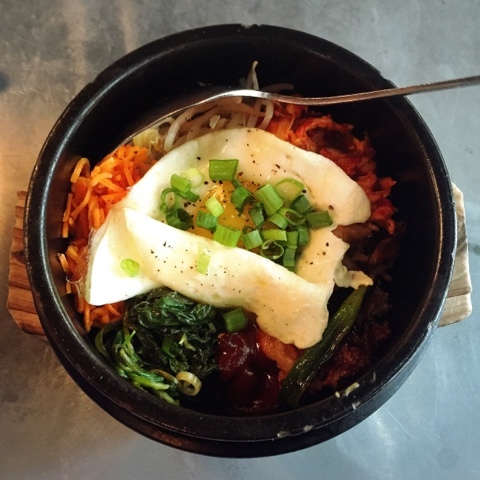 There you have it, an ex-Portlander's list of favorite places to wander, things to eat and do. Have you been to Portland before? What were your favorite places? 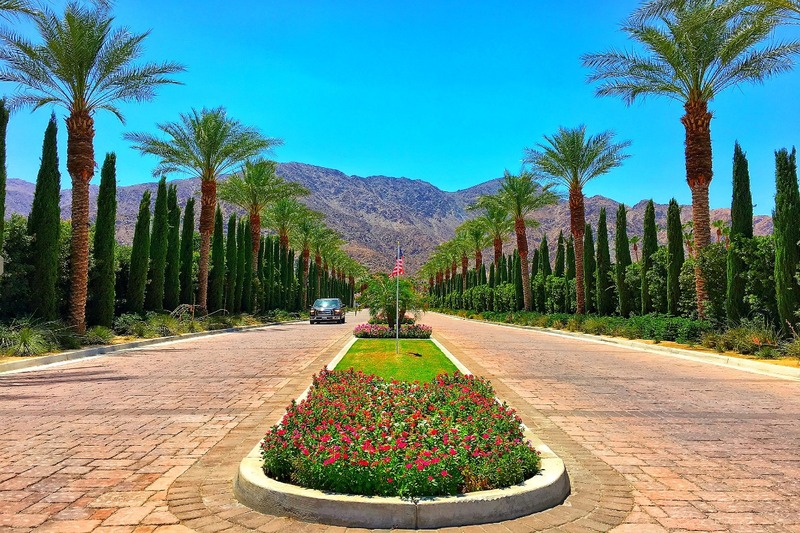 Linking up with the lovely ladies of #MondayEscapes (click here!) 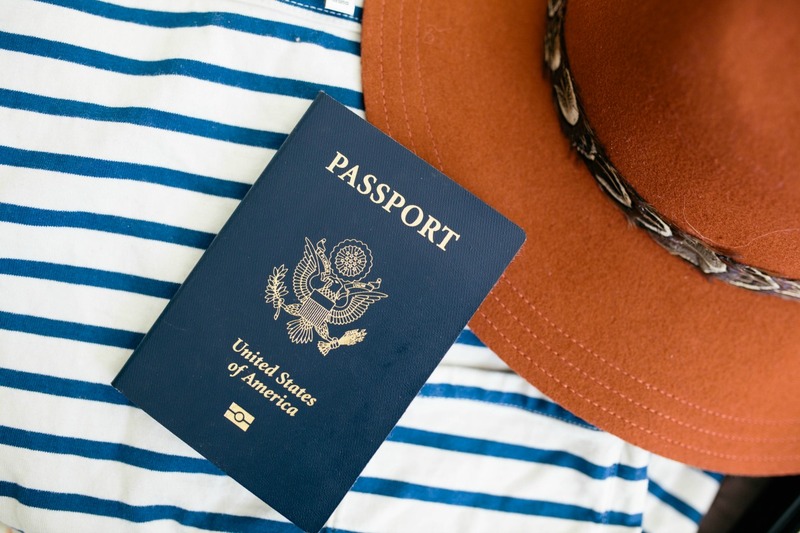 & #WednesdayWanderlust (click here!). After seeing all those food photos, I feel like stopping by Portland tomorrow. 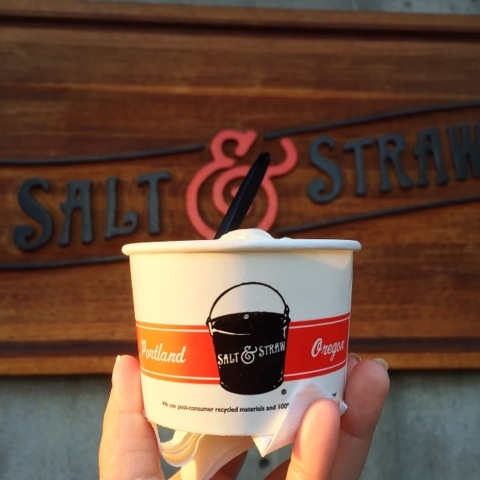 Salt & Straw have opened a store in Los Angeles. I tried them at the Los Angeles Food & Wine Festival and their ice cream was to die for. Can't wait to visit their store. Thanks for giving us a great insight into Portland Oregon Kana. All the food looks so delicious too! I love a good bookstore, there's something magical about it that can never be replicated by downloading a book online. Oh and I love those quirky doughnuts, how fun! Hi Kana - Followed your link at #WednesdayWanderlust, and it's perfect timing: I've been trying to convince my So Much Better half that we should go to Portland. When she sees that brunch, this trip will be sold, for sure! 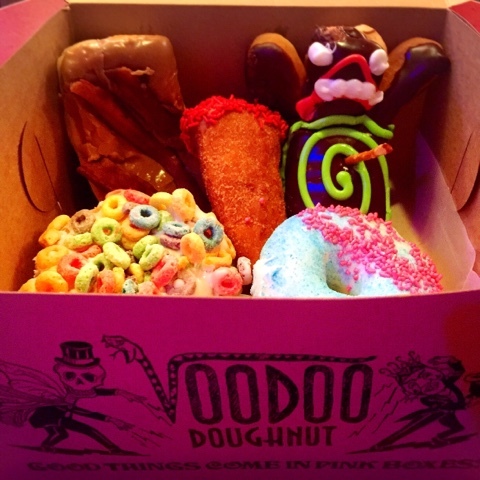 You're right about Voodoo Donuts, but then, all the best places are more about the vibe, right?